The brown Borg is the original version. 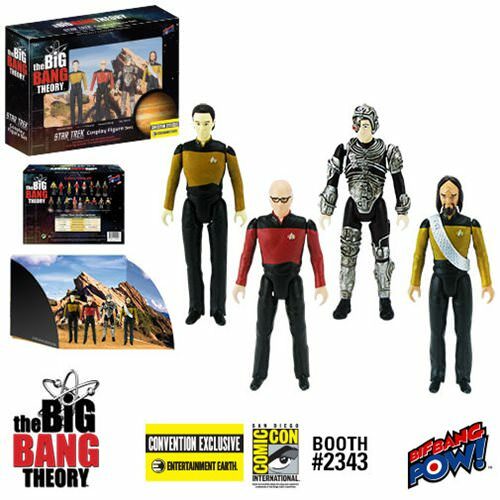 It is from the Reaction Big Bang Theory STTNG cosplay episode box set. 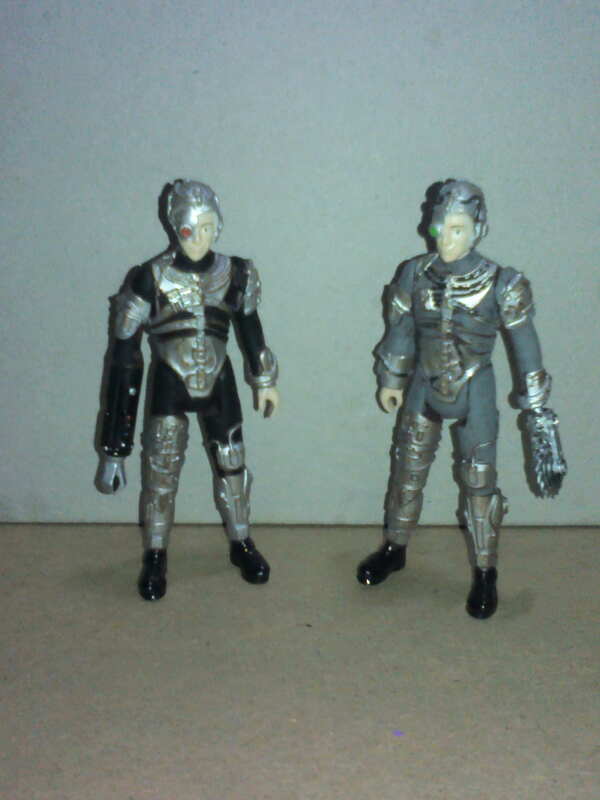 I hope to do at least 1 Klingon Borg from this set. 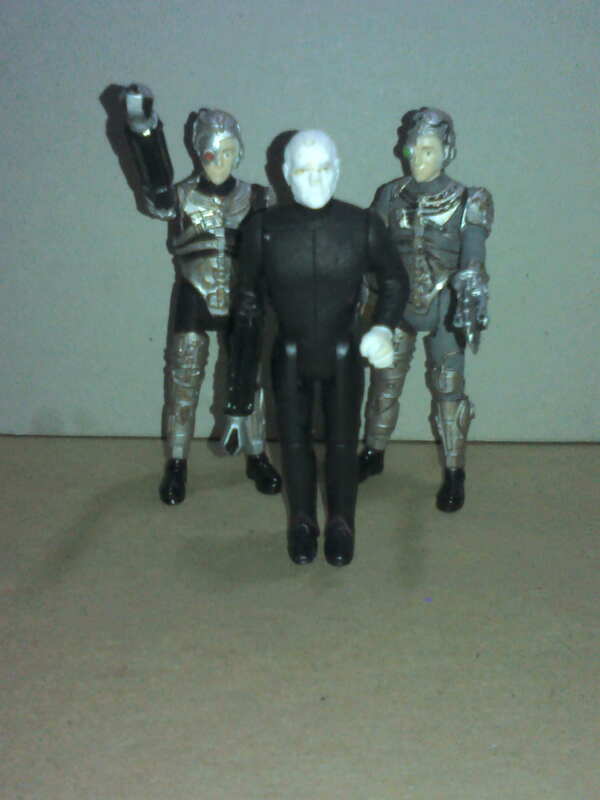 WE ARE THE BORG, UPGRADE 2.2. "I WILL BECOME LOCUTUS, A BORG." 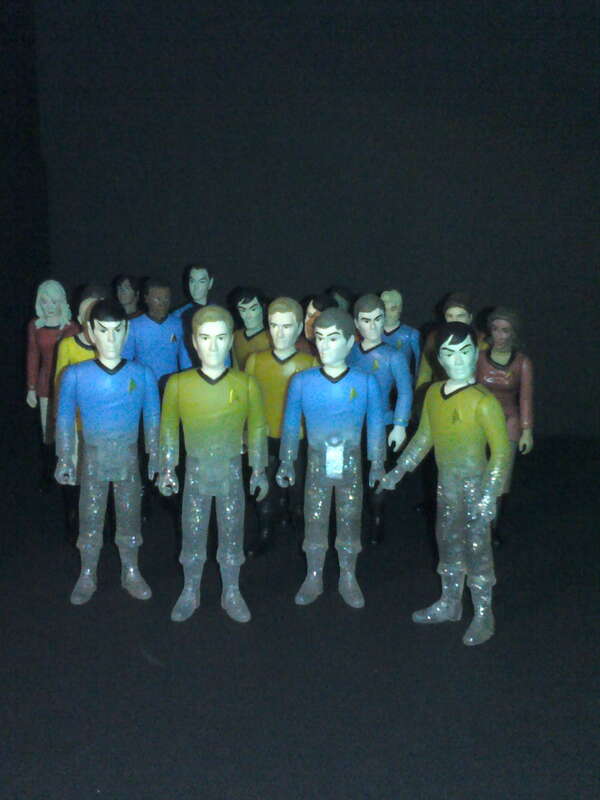 what are the borg-cube 'tiles' which the borg are standing upon? Sorry, didn't finish answering this. The tiles are from the Fortnite Turbo Builder set. Still waiting on a reply as to whether or not they will be available separately. 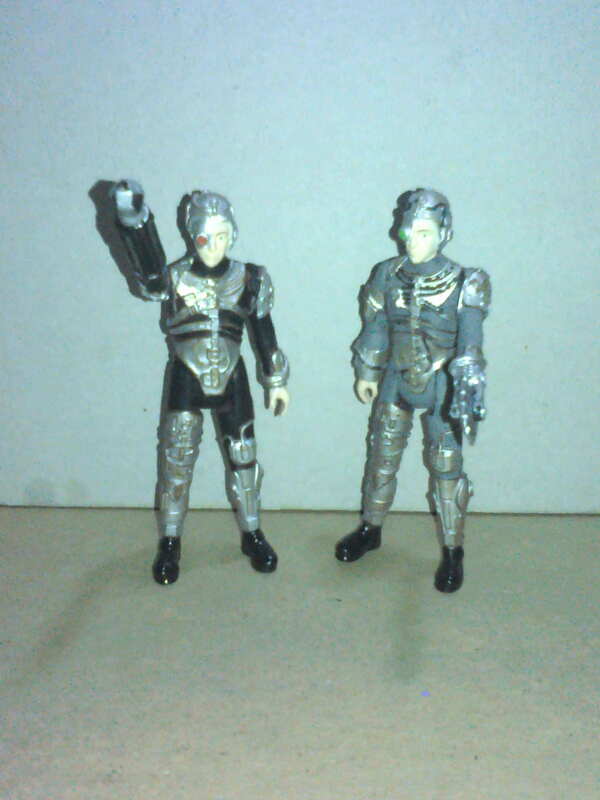 that adds an extra layer of sinister to those borg. I had thought it may have been "Stucco Metallic No.19" from O-scale train modelling tiles. (I use those and the lazer-etched 'embossed vellum' 'vinyl decal' for the cladding on the miniature houses). 3 quick customs I did after seeing one someone else did. 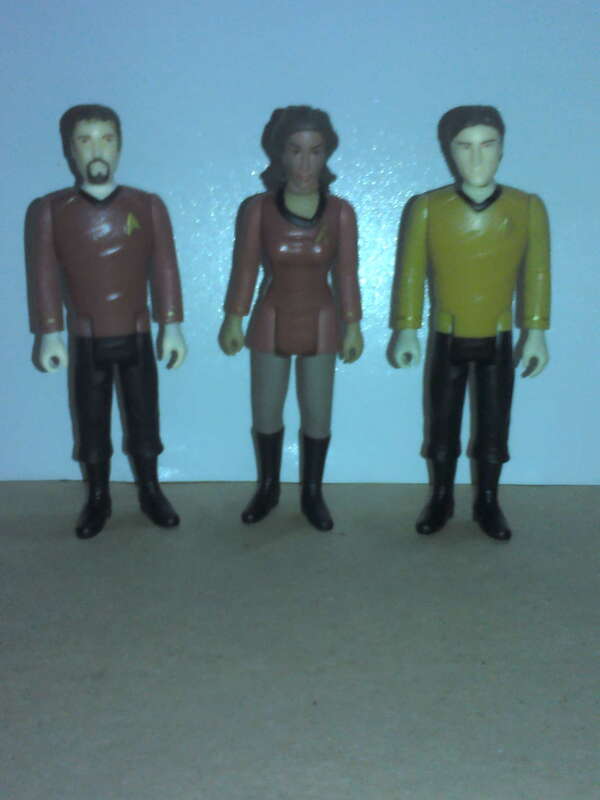 I am assembling my Reaction Trek figures, seem to have misplaced a couple, but I just did these 2 exclusive custom figures of Sulu and McCoy. 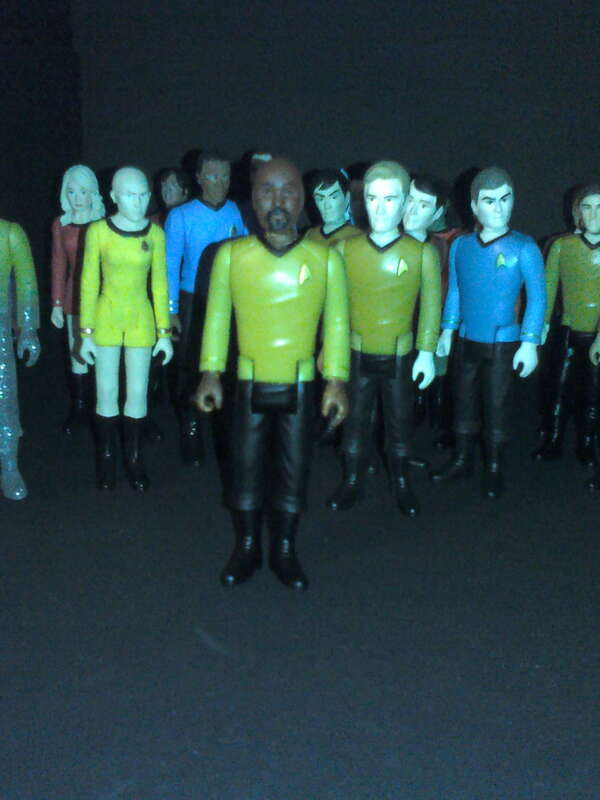 Lt. Benjamin Sisko from Trials and Tribblations. 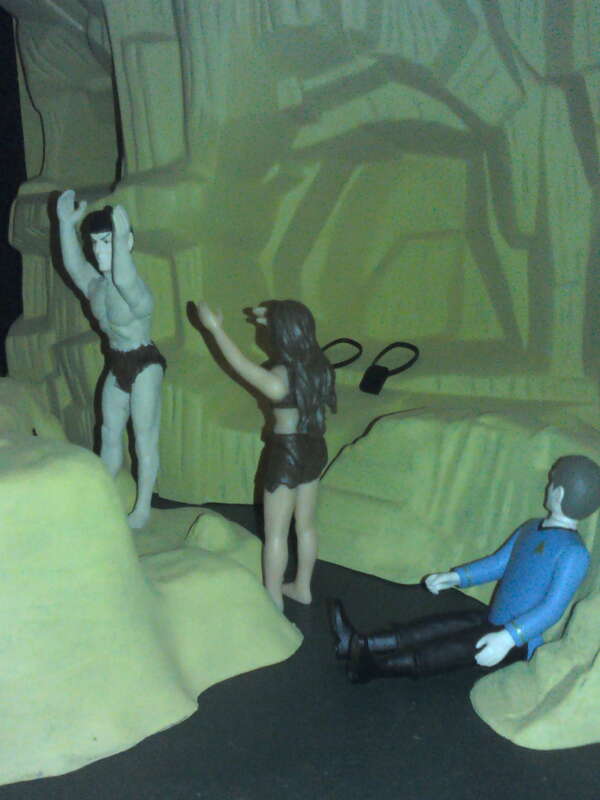 Spock "At last, the female is mine, and there is nothing that pompous Kirk can do about it! MINE!" 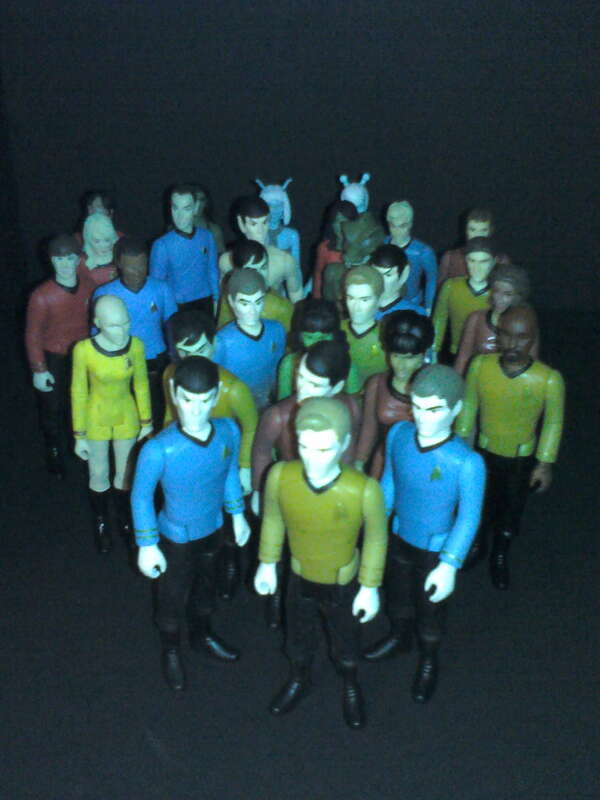 McCoy "Dammit, where is my tricorder when I need it." Finally got everybody together for a group shot.